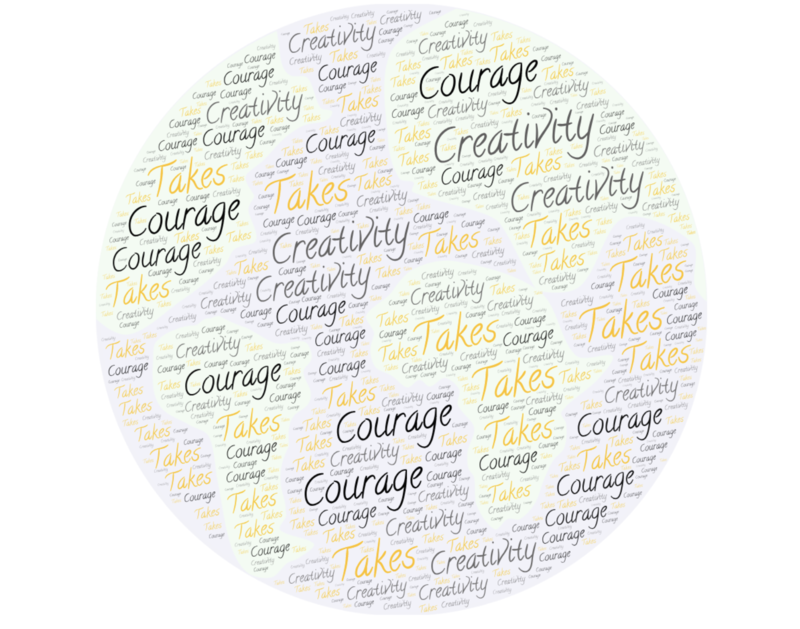 Blog@Clarteza» Blog Archive » Creativity Requires Courage. In fact, as a child and through my early twenties I felt as if I was always a part of two different worlds: “the real” business world and the creative “unreal” music, art world. Deep down I knew, that I embody both but it’s hard to be honest and talk about both, for fear of being perceived as not fully committed to one or the other. With my professional career I did choose the business world after all, however my creative, expressive side continues to be there. I’m happy it has been. It’s my outlet and my inspiration. It allows me to be more creative at work. I connect ideas, people, disciplines. As we grow up, our creative expressiveness tends to diminish. I believe we need to make a point to include it permanently in our lives again! It is particularly important for problem solving, inspiration, perspective, innovation and yes, an important element of happiness. It can also put you in the state of flow! While, creativity expressed is a display window into our soul, the fact that it is to be seen by others, may feel unsafe so, we hide it. I see people in workshops being shy about sharing what they love doing outside of work, or even voicing their amazing ideas for fear of judgment. This defeats the purpose of an ideation session! And one may wonder, why innovation in corporate environment is challenging? If you embrace creativity and have the courage to show others your thinking and expression, this creates connection with people. It can move a conversation into a new direction and help you and others unlock amazing ideas. Courage tends to be contagious so spread it! As Brene Brown said: “Vulnerability is the birthplace of innovation, creativity and change” so we may as well embrace it!